Got your hands on the brand new 2014 Jeep Cherokee? As we head into Winter, make sure your vehicle’s brand new interior stays protected with a set of Jeep Cherokee Floor Mats. At JeepWorld, we work hard to bring you the best products for your vehicle. With that in mind, we have two brands of floor mats that will work very well for your Cherokee depending on what you are looking for. The brand new Cherokee Floor Mats from Mopar are specifically designed to match your Jeep’s contours to maximize coverage. Each set includes two front and two rear floor mats all featuring a raised lip and molded honeycomb pattern. Black is the only color option currently available for this design, but we here a tan set is in the works. 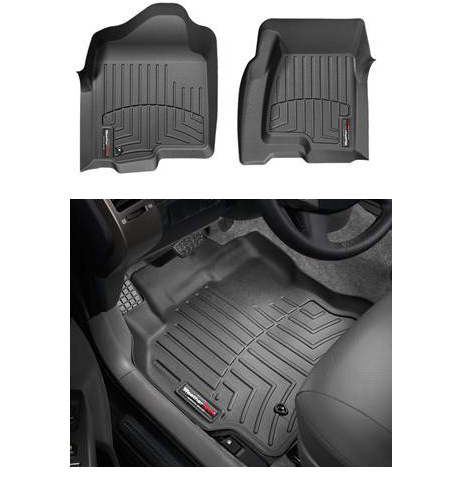 Another option for the 2014 Cherokee is a set of all-new Weathertech Floor Liners. We’re Jeep People, so it may sound weird to say, but these are the “Cadillac” of floor mats. Each fit is laser-measured ensuring maximum coverage for your Jeep’s Floor. Each kit comes as a set of two front mats or a one-piece rear (sold separately) and are available in black, tan, or gray. Be careful when ordering for your 2014 Jeep Cherokee as it may be easy to mix your Jeep up with either the older style Jeep Cherokee XJ or the Jeep Grand Cherokee. Floor Mats for these Jeeps will not work with your 2014 Jeep Cherokee. It may sound silly, but ordering for the wrong model year is easy to do for someone without experience. For any of you that have purchased a new 2013 Jeep Grand Cherokee, you may or may not have noticed that it’s extremely difficult to get floor mats for this vehicle. The Bad News: The Chrysler / Mopar Version is not currently available and their old part number will only fit up to 2012. 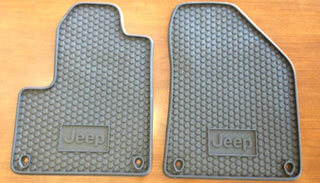 The Good News: We now have a 2013 Jeep Grand Cherokee Floor Mats solution for you. 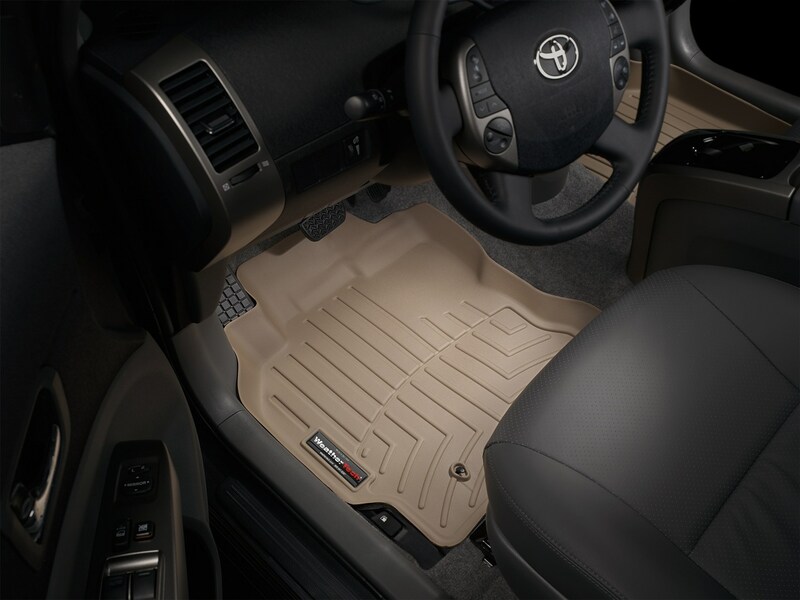 Weathertech Front & Rear Floor Liners are now available in Black, Tan, & Gray. A set of 2 front & one-piece rear mats are sold separately. These liners feature deep wells to trap and hold anything water or mud your feet can drag in. A must-have if you live where the seasons change and want to keep your Jeep’s Interior protected and clean. Is your Jeep ready for Winter? Jeep Wrangler Floor Mats, Grand Cherokee Floor Mats, Jeep Liberty Floor Mats, Compass Floor Mats, Jeep Patriot Floor Mats, Commander Floor Mats, and even Jeep Cherokee XJ Floor Mats are a great way to protect your vehicle’s interior and extend the life of your Jeep! Another must for interior protection is the Jeep Cargo Tray. An awesome way to protect your Jeep’s cargo area, these heavy duty trays are a must for anyone who lives in a Winter Weather Climate and enjoys an outdoors lifestyle. Available for the Jeep Grand Cherokee, Liberty, Commander, Compass & Patriot, and Wrangler. An extra-thick and rugged Cargo Tray by Weathertech is available for the Cherokee XJ, if you’ve still got one of those bad boys on the road. For those of us who think Winter is wonderful (count me in as one of those fools), we’ve got a full line up of Jeep Ski and Snowboard Racks to fit your vehicle and help you transport your skis and snowboards to the mountains. We happily offer both roof-mount and spare tire mount options as rack solutions for your Jeep. Either way, humans weren’t made to hibernate all Winter. Let www.JeepWorld.com, your online source for Jeep Accessories, help you get out there and have fun! Another cool new product line that is now available (just in today) are the interior car organizers by Thule Organization Systems, which will help organize the inside of your Jeep or any other car your family may drive. I know that my Jeep needs all the help it can get! These also make great, affordable but high quality gifts. Winter is right around the corner for most of us, make sure your Jeep Wrangler is protected from all the dirt, mud, snow, & slush that is on the way. Jeep Rubber Floor Mats and Wrangler Floor Liners are a must for anyone using a Jeep like it’s meant to be used. Click here for all of your Jeep Accessories needs.